have a look at this video… https://www.youtube.com/watch?v=XwXG2yKkK3k dont focus on the guys joking presentation, but his idea is sound! i don’t think it makes much of a difference as they are just extendable keychains… i actually use them when i go skiing for my ski pass… similar to these ones. The dog leashes look like they work well. Not the cheapest solution but what part of this is. I’m planing to buy Pimax 5k+ but i still have not found working and tested solution for the 35feet (10m) extension Display port cable that works without any issues with Pimax. Looks like my setup, but I have (ID) badge “leashes”. Put doubles because the extension cable was too heavy to keep it up to the ceiling. 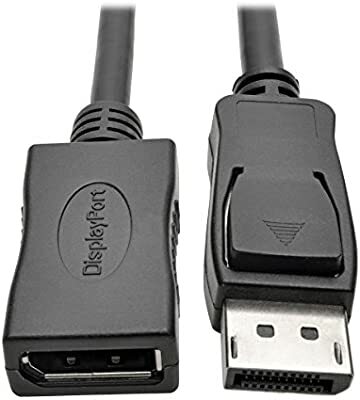 Did you find a reliable display port extension cable? how did you order that 10m cable from Pimax? i dont see it listed. I ordered a 10ft display port extension, will report back if it works well. I orderes the 10 meter cable during my kickstarter pledge. I also ordered the base stations and controllers. Think.i paid $70 for the cable. Yes please report back, I am in need of about a 2-4m cable.